Some of Ernest’s extended family have been included because his uncle Benjamin Bradley was obviously the reason why his father George went to live on Ranmore Common, and moreover Benjamin was the farm bailiff, a significant person on the Denbies Estate. Benjamin was born in 1839 in East Clandon, Surrey to William and Elizabeth Bradley nee Paul. His non-Conformist parents had to register his birth centrally under the new regulations rather than in the non-Conformist records possible at the birth of his older brother George Bradley two years before. In the 1841 census Ben was living on Clandon Common with his parents and older siblings (five being Elizabeth’s children and two from Maria Blundell, his father’s first wife). 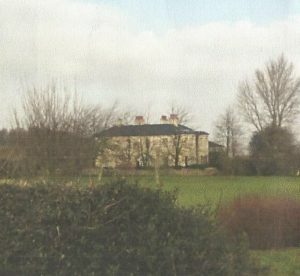 In 1851 Ben and George were still at home, working as agricultural labourers, By 1861 Benjamin was lodging with another labourer’s family in East Clandon. On 10th April 1864 he married Mary Elizabeth Rapley, not in her home village of Westcott, but in London at St Thomas, Marylebone. Mary Elizabeth appears to have been only 17 and therefore under the legal age of marrying without parental permission; perhaps why the marriage was in London. Benjamin made his mark on the register, as did his brother George who was a witness. Mary Elizabeth, however, could sign her name. In 1891 and 1901 the family is still at Ranmore Farm, and Benjamin is “Foreman on a farm”, but ten years later he is once again described as Farm Bailiff. He appears now to be able to write his name on the census form. At that time three grown-up children are living with him and his wife. By the time of their deaths Benjamin and Mary Elizabeth had moved to West Cottage at the eastern end of the common. 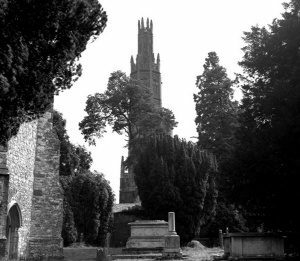 He was buried in St Barnabas churchyard on 12th January 1927 in the same grave (J7) as his wife who had died three months before. Born in February 1866 on Flint Hill, Dorking, William Edward, named after his two grandfathers, was baptised at St Paul’s Dorking on 25th March. He probably went to infant school in Dorking, but was admitted to St Barnabas School on 2nd November 1874 “aged 8 years and 8 months” in the school logbook, although his name does not appear on the Admission Register. The next week his younger sister Mary (Maria) was admitted. Along with his brothers and sisters he was kept away from school on doctor’s orders in 1876 on account of whooping cough; four members of the family were absent with colds/illness in 1877. The precise end of William’s schooldays on Ranmore is somewhat unclear. In March 1878 a William Bradley was “withdrawn for work”; but on the following April in 1879 the new Head Teacher writes in the school logbook, “William Bradley aged 13, a Standard VI boy, leaves this school today to go to a boys’ school in Dorking. He has been a well behaved boy ever since I came. He received a prize from the Rector, Rev Waddington, on leaving this school. ” From birth and year dates it seems this William is Benjamin’s son William Edward – whether he is also the earlier one or another has not been ascertained. By 1881, when the family are at Ranmore Farm, William is an agricultural labourer, no doubt on the Denbies Estate. By 1891 he has become a cowman, like his uncle George, and is boarding at No 1 Dairy Cottages, the head of the household being the 65-year-old widowed Grace Porter, dairy maid. Later that year, on 4th November at St Barnabas, he married the 26-year-old Bessie Shearing, born Dorset, daughter of John Shearing, carter. William signed his name with a wonderful flourish. By 1901 the couple are living in Betchworth with daughters (names all beginning with E), and a foster child. William is a coachman/gardener; a clergyman, perhaps his employer, lives next door. Ten years later the Bradleys have moved to Esher and at last have a son, William. 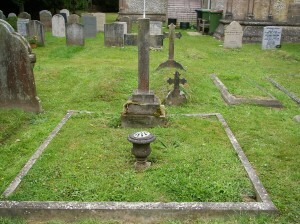 The father William (Edward) was described as gardener. Benjamin and Mary Elizabeth’s second child was born 22nd April, 1868 and baptised 5th July in St Martin’s Dorking when her family were living in “Chalk Pits” (probably Chalk Pit Lane), but by 1871 they are at “Mr Cubitt’s Cottages, Vincent Lane”. After they moved to Ranmore Farm, Mary (Maria) was admitted to St Barnabas School on 9th November, 1874 “aged 6 years and 6 months”. In July the following year she was absent with a cold/sickness. In February 1876 the doctor visited and requested that not only children with whooping cough be kept at home, but also their brothers and sisters (this included a Bradley family, but it is not clear whether this is Mary Maria’s family or her cousins, children of George and Ann Bradley). Mary (Maria) received religious knowledge certificates following the annual Diocesan Inspections. In 1879 along with other pupils she “finished some flannels they were making this week”: needlework seems to have been her forte, and she ended up a dressmaker. [Material was supplied to the school twice a year by Mrs (Laura) Cubitt for making up into print (summer) or winter dresses for the girls, and coats and waistcoats for the boys.] In 1880 Mary Maria “returned to school after six weeks’ absence.” She reached Standard VI before she left school in September 1881. She is not with her family group in 1891 or 1901, but by 1911 she is back with her elderly parents and two younger siblings at West Cottage, working as a dressmaker “on her own account”. In 1945 Mary Maria is living at the School House with her younger sister Lily, but after Lily’s death that year, she went to live at 31 Ashcombe Road. She died the following year and was buried in St Barnabas churchyard on 17th October, in the same grave as Lily (grave reference unknown). Her probate says she was “otherwise known as Mary”, and her executors were her widowed sisters Alice Murphy and Ellen Everett. 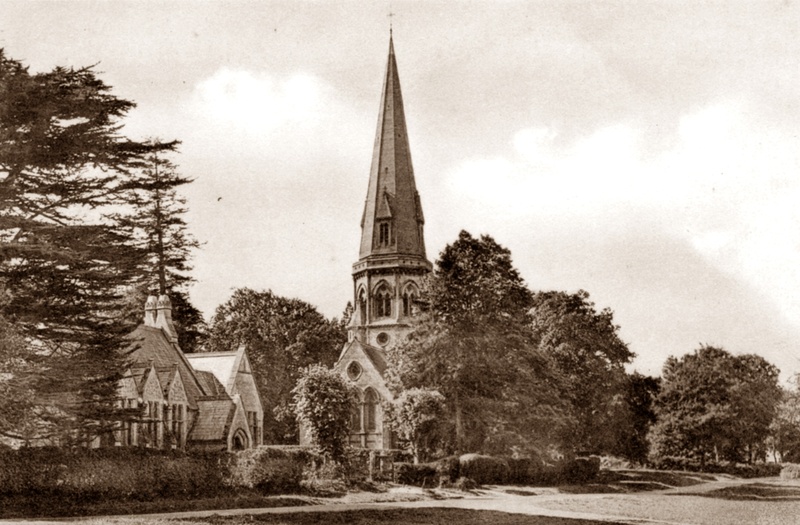 The Bradleys’ second son was baptised on 15th November 1870 at St Martin’s Dorking. His family were living at “Mr Cubitt’s Cottages, Vincent Lane”. After the family moved to Ranmore, as “Frederick” he was admitted to St Barnabas School in January 1875 “aged 4 years 9 months”. The next month he and several other children are absent sick. In 1880 “Frederick Bradley” received Honour Certificates (probably from the Diocesan Inspection) and subsequently collected others. In 1881 the teacher commented Frederick Bradley has been “present every time school has been open”. The following April (1882) he “left to go to work”. Philip Frederick Bradley served in the Army (18th Hussars), in two sessions. He was in India from 1st May 1889 until 1897. Then, as a result of the Boer War, he was recalled in 1899, and went to serve in South Africa. He was discharged in 1902 to his home 31 Eastbury Grove, Chiswick, with appropriate campaign medals and a “Very Good” character. During his interval in civilian life, working as a carman and living in Chiswick, he married Rose Mary Steel Gilbert in 1898 at All Saints Camden Town. By 1911 he and Rose are still living in Eastbury Grove, Chiswick and Philip, now “Frederick”, is in the motor industry. He and Rose had nine children, three dying before they were a year old. In the 1911 census the children alive at that time were Ellen, Frederick (?William), Ethel, Alfred Charles and Arthur. Rose died in Wandsworth district in 1915 aged 43. Philip Frederick Bradley’s name occurs in various London electoral registers in Brentford and Chiswick from the 1920s until he died in Ealing district in 1963. 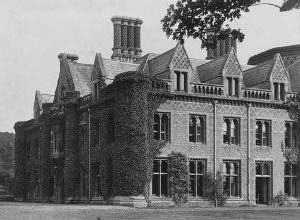 By 1891 Ellen is a housemaid in Hadlow Castle, near Tonbridge, Kent (an ornate eighteenth- century Gothic building now demolished, although the gateway arch and spectacular tower still exist). By 1901 she has been promoted to parlourmaid, at Inhurst House, Baughurst, Hampshire. In 1911 she is living with William Everett, a fishmonger in Grove Vale, East Dulwich, and their one-year-old daughter Phyllis Nora. William died in 1936, Ellen Christmas Day 1947 in East Dulwich Hospital. Her daughter Phyllis was her executor. 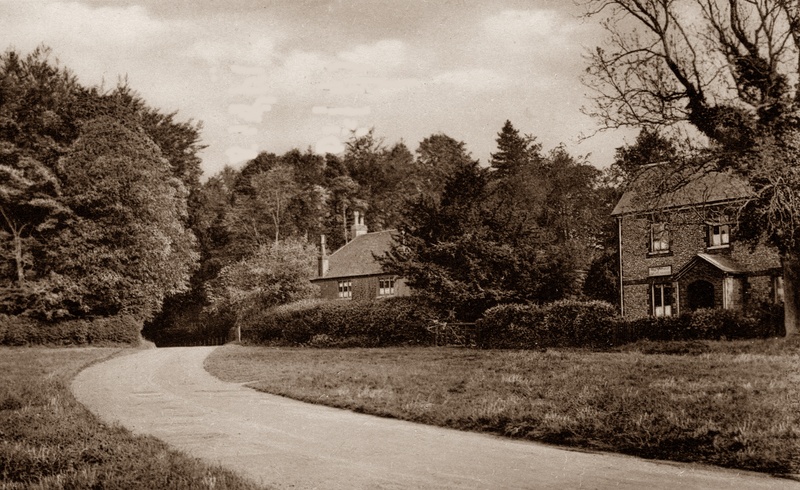 The Bradley family were living in Vincent Lane, Dorking, when Alice, their fifth child, was baptised on 2 August 1874 at St Martin’s, but by 1881 her father Benjamin had the job of Under Bailiff at Denbies, so they moved to Ranmore Farm. In April 1878 Alice was admitted to St Barnabas School. In November 1884 she and some other children failed in two subjects, but, despite this, she eventually reached Standard V, and also gained religious knowledge certificates from the Diocesan Inspection. In June 1887 she left school “to prepare for service at the Cottage”, aka the Dispensary. By 1891 Alice is working as a housemaid at Bloomfield, Harestone Valley, Caterham, the large household of wine merchant Charles A. Dingwall. She is one of only four indoor servants to look after six adults and five children ! Among the adults are Mrs Dingwall’s distinguished father, who had been a Government Director of Indian Railways. In 1901 Alice is still a housemaid, working in another prosperous household, home of a banker (Heppington House, Nackington, near Bridge, Kent). Which is probably how she met James Albert Murphy, a gardener born Chartham about 1880, who In 1901 was working at Ickham, not far from Bridge. Alice and James were married on 10th June 1903 at St Barnabas Church. They moved to Tigbourne Court Cottage, Lane End, Witley, Surrey. (The cottage was designed, like Tigbourne Court itself and Little Leat Cottage in Lane End, by Edwin Lutyens, and the gardens in which James worked were designed by Gertrude Jekyll). James and Alice had two daughters Gladys Emily and Kathleen Mary: Gladys baptised at St Barnabas on 5th October 1905, her sister at All Saints, Witley, Surrey 4th November, 1906. 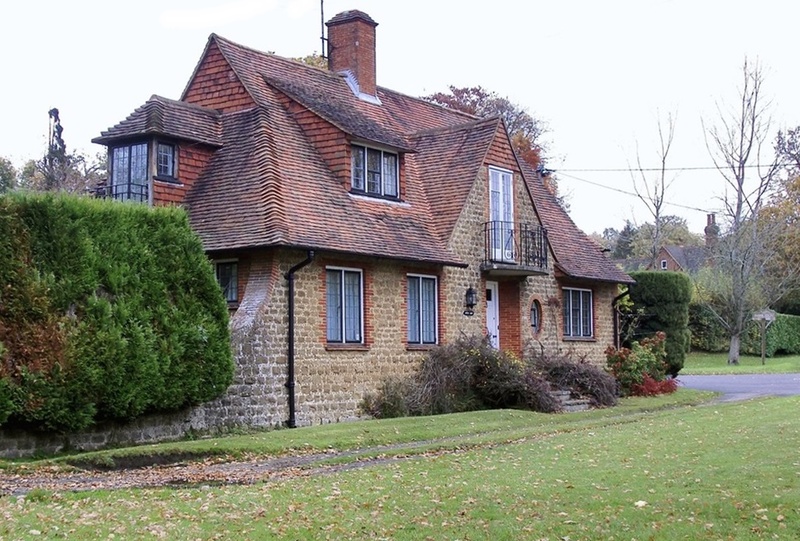 By 1911 Alice and James are still living at Lane End, Hambledon with their young daughters. It is not certain if James was in WW1, but, described as “of Tigbourne Court Gardens, Witley”, he died on 13th January, 1917 aged 37 in the Royal County Hospital, Guildford. It is not certain what happened to Alice during the lengthy time before she died on 7th September 1955 at Upper Norwood, London, Her daughter Gladys was her executor; Kathleen died unmarried in Bristol in 1988. Annie, the sixth Bradley child and fourth daughter, was born 10 May 1876 and baptised at St Barnabas on 25th June. She started at the school on 10th May, 1880. Along the way she gained various certificates in religious knowledge as a result of the Diocesan Inspections. In July 1888 she left, having reached Standard V, but in the new term in September she was engaged as Monitress. In 1891 she is at the Ranmore Dispensary, training for domestic service with three other 14-year-old girls, and by 1901 she was a housemaid in a small household at Seaford, Sussex. On 2nd April, 1904 (the next entry in the St Barnabas marriage register to that of her sister Alice) Annie Bradley married George Attwater, a bricklayer from Charlwood, son of a farmer. Annie and George lived in Russ Hill, Charlwood and by 1911 had three children: two daughters Dorothy and Winifred, and a son James Benjamin George. 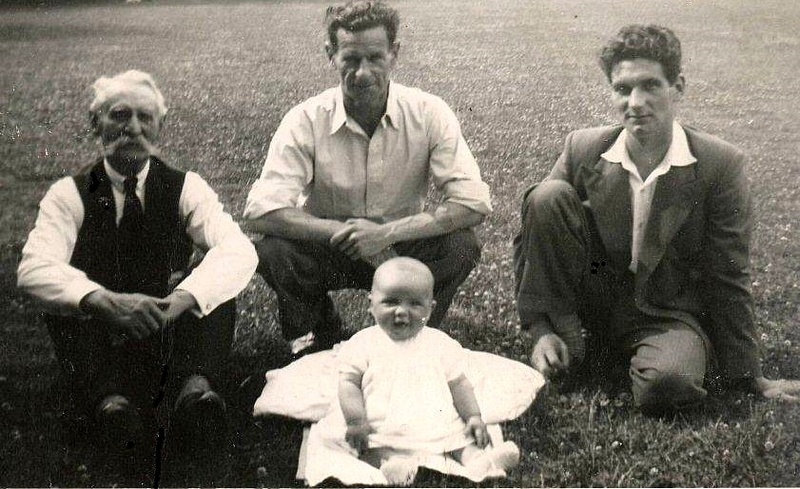 A second son was born in 1914: Alfred Donald. The following year George Attwater enlisted in the Royal Engineers, having served in the 2nd Queen’s in 1890. See They Also Served WW1. Annie and George Attwater feature in successive Electoral Registers and by 1922 are at Hillside Cottage, Russ Hill, where they stayed for the rest of their lives, in 1934 their son James living with them. By 1937 Annie’s husband George has disappeared from the register (possibly died Sept qtr 1934), but by 1939 Annie and her younger son Alfred are still living at Hillside, with James and his wife Kathleen living nearby at 1 Council Cottages. It is not certain when Annie died, possibly in 1946. Alfred was baptised at St Barnabas on 28th October 1877, seven weeks after his birth on 9th September. On 31st May 1882 he was admitted to St Barnabas School “aged 4 years and 8 months”. On 1st October 1886 he was the only child absent from school, because of a “very sore arm”. He gained a religious knowledge certificate as a result of a Diocesan Inspection before, in 1890, he left to go to work, having achieved Standard V.
By 1891, still living at home on Ranmore Farm, he is a farm labourer. In 1901 he is possibly a groom at stables to a big house at Greatham, near Petersfield, Hampshire, but by 1911, he is definitely a chauffeur at Easnye, near Ware in Hertfordshire. He is married to Lucy, born Buntingford, Hertfordshire, with a 9-month-old son Alfred Stanley (born 28th June 1910, baptised Layston, Herts on 14 August 1910). So far, not much more has been discovered about the Alfred Bradleys, nor whether he was in WW1. Edith, born 27th June 1879, was baptised at St Barnabas on August 24th, and admitted to the School on 27th July 1883. With a religious knowledge certificate from the Diocesan Inspection, she reached Standard V before she left school on 4th August 1893 “to be trained for service at the Dispensary”. By 1901 she is in service in Westcott to a lead manufacturer, and in 1911 again in service in Surbiton, It is not certain what happened to her: in the electoral registers she may be the Edith Bradley living in Ansell Road during the 1920s (but that could be the widow of the War Memorial casualty Ernest Bradley). Born 7th December 1880 and baptised at St Barnabas on 9 February 1881, Arthur started at the School on 13th April, 1885, on the same day as his cousin Ernest of the War Memorial. On 26th October, 1885 the school logbook says that all of one family of the Bradleys [but which one?] have been kept at home by the doctor’s orders. 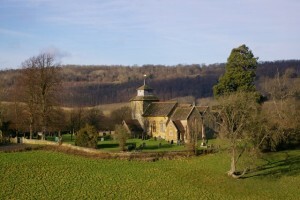 Arthur gained religious knowledge certificates as a result of the Diocesan Inspections and in April 1894 left “to go to work”, having achieved the top Standard VI. 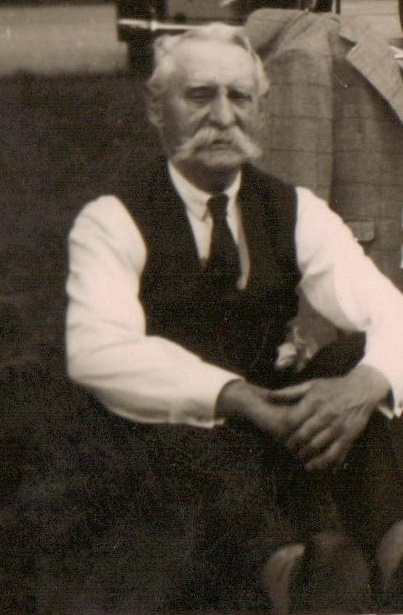 From 1898 to1904 Arthur served as Private 5136 in the Devonshire Regiment, but by 1911 he is a postman, boarding at the Clock House, Abinger Hammer with a threshing-machine proprietor, who also has two nieces living with him. On 3rd August 1914 at St Barnabas Arthur Bradley married one of the nieces: Harriet Harrison, whose deceased father was a baker. The couple both gave their addresses as The Willows. Abinger Hammer. It is not certain whether Arthur and Harriet had children. nor when they died, nor whether Arthur was in WW1. Born 6th June 1882 and baptised at St Barnabas on 30th July, Lily Bradley was admitted to St Barnabas School on 21st June 1886. On 19th July 1889, the logbook triumphantly remarked that attendance was almost 100 percent, Lily Bradley being the only child absent ! As a result of the Diocesan Inspections, Lily received certificates in religious knowledge, and achieved Standard V before, on 2nd August 1895, she “left to be trained for domestic service”. In 1901 she is junior parlourmaid in a household in Lee Priory House, Ickham, Kent. 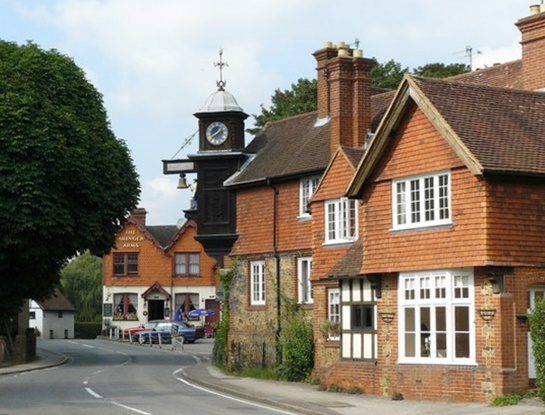 (The cook in the household comes from Great Bookham, and Lily’s sister Alice is also working in the area.) Lee Priory House was a splendid mansion demolished in the 1950s, but one room with charming plasterwork by James Wyatt survives in the Victoria and Albert Museum in London. The stables and the crenellated entrance gateway still exist in the village. On 17th January 1904 Lily gave birth to a daughter Muriel Lily in Steyning district, Sussex. In 1911 Muriel was living in Brighton among the eight children of John George Langley, a metal-worker, and his wife Ellen Eliza, nee Brown. She is described as niece, although it is not known if or how she was related. She adopted the Langleys’ surname and in 1914 emigrated with the Langley family to Canada where her great grandchildren still live. She died in Victoria, British Columbia on 18th February 1992. Muriel’s mother Lily Bradley by 1911 was back on Ranmore with her parents Benjamin and Mary Elizabeth and classified as a domestic servant. During the 1930s she moved to Fort Cottages. In 1945 she was at the School House along with Mary Bradley, probably her eldest sister Mary Maria, [The question is why are they living there, since the school was still open until 1972 and it would have been expected that the schoolmistress lived in the School House? But in view of Mary Maria’s teaching history, see her entry No 2 above, maybe she was a teacher in 1945, if not the Head Teacher] Lily Bradley was buried in St Barnabas churchyard on 12th December 1945 aged 63, in the same grave as her sister (grave reference unknown). Born 3rd November 1883 and baptised at St Barnabas on 19th December, Herbert Benjamin started school on 7th May 1888 (“H. Benjamin” on the Admissions Register). As a result of the Diocesan Inspection, he received certificates in religious knowledge, and in 1897, “Benjamin Bradley” received a certificate in drawing (a recent introduction to the school curriculum). He achieved Standard IV before he left school, although no actual leaving date was entered in the Register. There is a Benjamin Bradley in the 1901 census working as a groom and living in a coachman’s household in Audley Square, St George Hanover Square district. (The county given is incorrect, but his place of birth is Ranmore.) If the right person, the area teems with coachmen and stable workers. He is probably the Herbert Benjamin Bradley, Royal Army Service Corps, who was awarded the 1915 Star, British War and Victory medals after WW1 (They Also Served WW1). Little other information about him is apparent, but he could be the Herbert B. Bradley who died in Lambeth December qtr 1962. Emily was born 17th March 1885 and baptised at St Barnabas on 22nd April. She started at the School on 1st July 1889, aged 4. She was absent a week through illness in October 1890 and was stIll away sick a month later. She received certificates in religous knowledge from the Diocesan Inspections, and achieved Standard III before she left school (although no leaving date in the Register). In 1901 she is at the Dispensary training for domestic service. She is probably the Emily Bradley on the Golden Wedding scroll of Lord and Lady Ashcombe in 1903. Emily Bradley married 30-year-old engineer Cuthbert Thomas Nettlingham in St Barnabas Church by licence on 25th July 1918. He had been in the Merchant Navy during WW1, with campaign medals to prove it, but little is known about their subsequent lives, nor if they had children. There is an Emily Nettlingham living in Lewisham from 1924 to 1932: a fairly unusual name, but there is no sign of Cuthbert. He is living on Ranmore Common in 1919 and throughout the 1920s. In 1930 a Henry Richard Bradley is living at The Stables, Thornbury Road, Isleworth, along with Mary Anne Bradley (his wife, or maybe his cousin, the sister of Ernest of the War Memorial); this continues into the 1930s. In 1936 there is no Mary Anne with him. but a Gertrude Lilian Bradley on the Electoral Roll at St Margaret’s Road, Twickenham. A Henry R Bradley died in Willesden in Dec qtr 1936. The last of the long line of Bradley children, Ada Louisa was born 6th July 1888 and baptised at St Barnabas on 29th August. On 10th April 1893 she started at the School, but no later logbook entry nor departure date for her. In 1901 she was the only child left at home with her parents Benjamin and Mary Elizabeth. By 1911 she is one of ten servants in a large thirty-roomed house (Hamptons, Tonbridge, Kent). Little more has been found about her, although she apparently died In Folkestone, Kent June qtr 1970. There is a composite list of the sources consulted for all members of Benjamin Bradley’s family on “Ernest Bradley’s Family” page, but details for the individual family members are available if required. Virtually all of the sources mentioned can be viewed online via Ancestry, Find My Past and Free BMD.